Born in Las Ranas Michoacan, Mexico. In 1990 he immigrated to Salem, Oregon with his family. Jaime worked as a farmworker picking crops for 12 years. In 2005, he began working with Farmworker Housing Development Corporation (FHDC) as a Community Organizer and later became Director of Fund Development. From 2013-2017 Jaime was Secretary-Treasurer for PCUN and the Executive Director of Accion Politica PCUNista (APP), Oregon’s Latino progressive 501c4 organization. In 2011, Jaime was recognized by Shelterforce, the oldest community, economic development magazine in the nation, and selected as one of 6 under 36 young leaders in the country. Jaime serves on several boards including Western Oregon University’s Board of Trustees, Oregon’s Youth Development Council, and the Marion County Children and Families Advisory Commission. Ines grew up in Newberg, Oregon. Her family migrated from Jalisco, México. She graduated from Linfield College with a B.A. in Sociology. She serves as a member of the executive committee for Unidos Bridging Community. 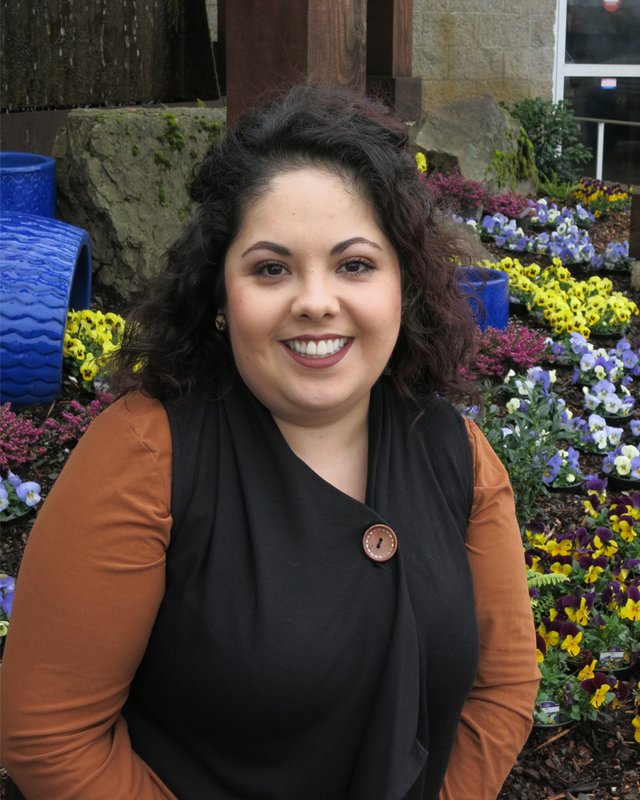 She was recently the first Latina to run for the Newberg School District Board. Ines is passionate about advocating for the rights of those who are underrepresented. A native of Michoacán, Mexico. 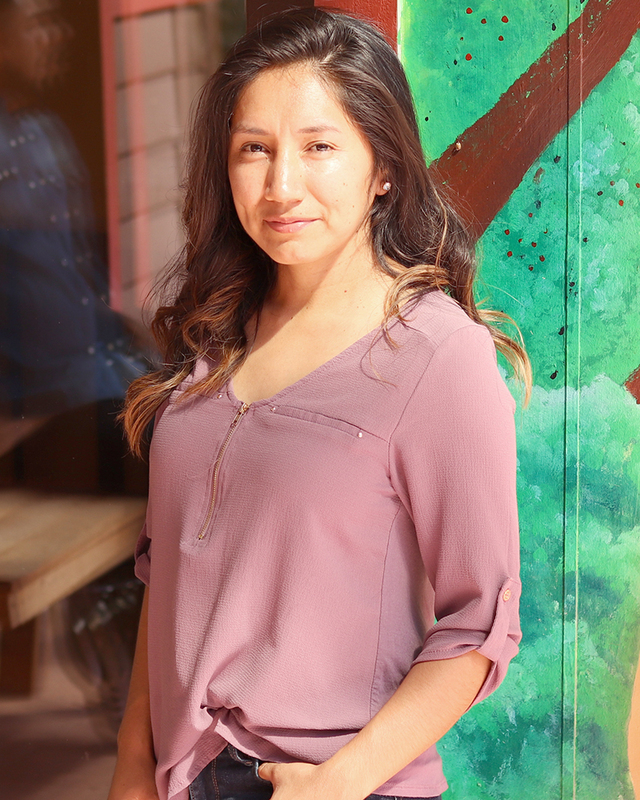 She lived with her parents at FHDC’s Nuevo Amanecer farmworker housing project in Woodburn and worked part time at Nuevo Amanecer’s Cipriano Ferrel Education Center in the after-school program starting in 2006. She graduated from Woodburn High School in 2006 and Chemeketa Community College in 2011. Fabiola Ramos was born in Santa Rosa Oaxaca, Mexico. She migrated with her family in 2001 to Woodburn at the age of 16. In 2005 she joined the Oregon Child Development Coalition (OCDC) working with children of migrant families. There, she learned about PCUN and began to volunteer learning more about social justice work. 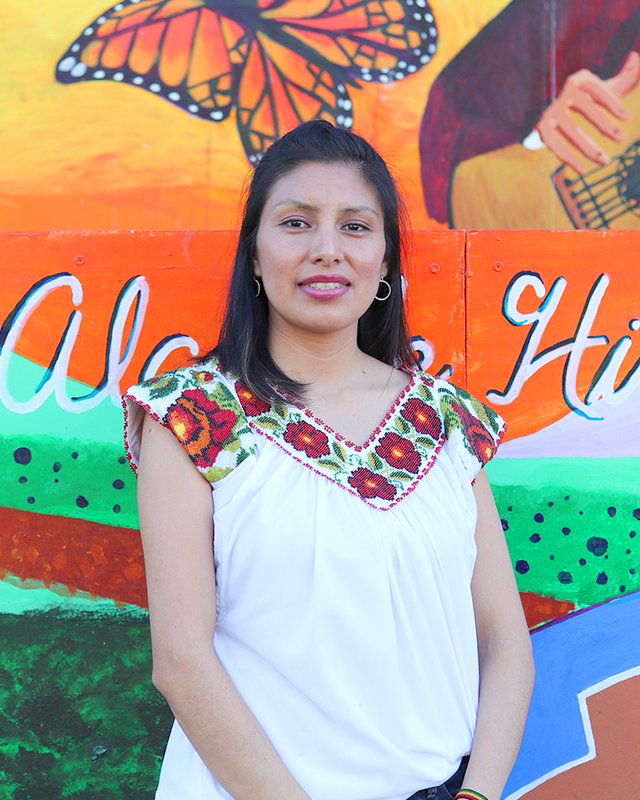 In 2013, Fabiola Joined PCUN as an Administrative Assistant for KPCN-LP, the community radio station of PCUN. and in 2014, she became the Program Manager. She graduated from Woodburn High School in 2004 and attended Chemeketa Community College with a focus on Social Science. The youngest son of Salvadoran immigrants who arrived to the U.S. in the 1970’s. Originally from Los Angeles, he’s a first generation college student who graduated from Portland State University. Post graduation, Edward has been involved in community based programs; serving as an outreach coordinator, organizer, and youth gang prevention advocate. Eduardo grew up in Woodburn, Oregon. He is the oldest of his three siblings, and a proud son of immigrant parents. 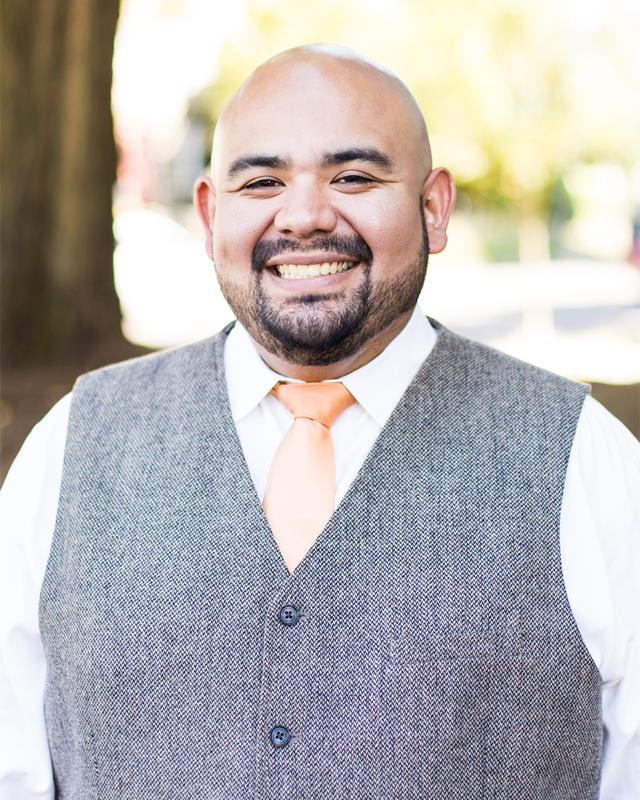 He is a first generation Chicano student, who graduated Woodburn High School in 2005, and attended Oregon State University with a focus on Marketing and Computer Science. Eduardo has been involved in activist community based programs, and does free-lance multimedia content for websites, musicians and other artists. 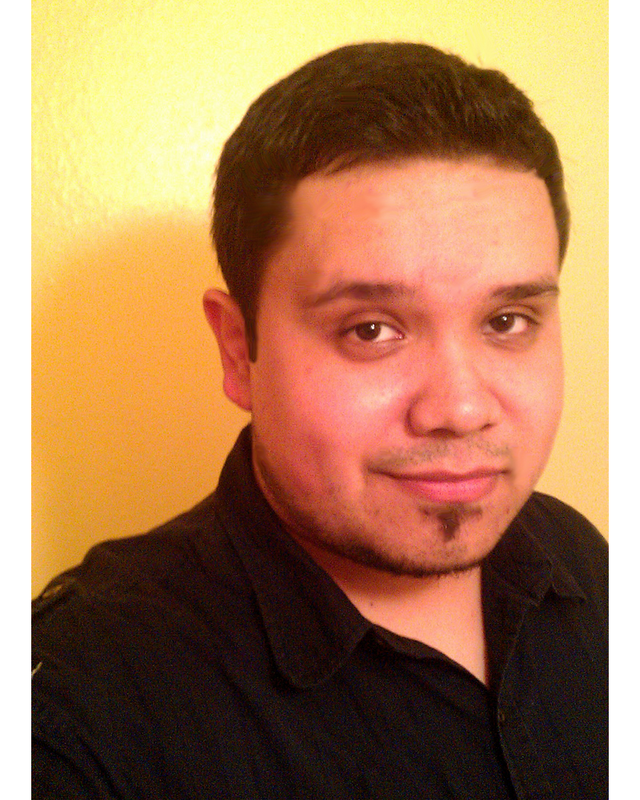 Alec was born and raised in Salinas, California, to a Mexican father and an American mother. He attended Loyola Marymount University in Los Angeles, CA, and graduated with his B.A. in Psychology and English. Alec hopes to one day go to graduate school to pursue a Ph.D. in Community Psychology, to work with communities who have too often been silenced. He has a passion for community organizing, service, and leadership development. Alec is a Jesuit Volunteer serving a year with the Jesuit Volunteer Corp Northwest (JVCNW). Lorena Manzo, Chair, representing Causa. Lorena came into the movement as a member of Mujeres Luchadoras Progresistas in 2003, later become staff. She served as the coordinator of the CAPACES formation process in 2005 before joining the Causa staff in 2006. Lorena has served on several CAPACES committees. Currently she is Causa’s lead organizer. Maria Elena Guerra, Vice President, representing Farmworker Housing Development Corporation. Meg is originally from Guayaquil, Ecuador. She holds a Bachelors of Arts in Business Administration from Espiritu Santo University in Guayaquil, Ecuador and a Master’s degree in Public Administration from Portland State University. In Oregon, Meg served as the Asset and Property Manager for Farmworker Housing Development Corporation and Portfolio Manager for REACH Community Development Corporation before accepting the position of Asset Manager with Hacienda Community Development Corporation. In 2009 Meg was awarded Star Player of the year by the Oregon Opportunity Network. In 2010, Meg completed the Asset Manager Certification (CHAM) with the Institute of National NeighborWorks of America. Brenda D. Mendoza, Secretary, representing Pineros y Campesinos Unidos del Noroeste. Brenda D. Mendoza was born in Guadalajara, Mexico. She is the Vice President of PCUN, Director of its Service Center for Farmworkers and DOJ Partial Accredited Representative. Mrs. Mendoza immigrated to the US undocumented crossing the Tijuana/San Ysidro border in 1987 at the age of 11 and has lived in the US since then. She is married and has two daughters. Sandra Hernández, Treasurer, representing Latinos Unidos Siempre. Sandra is a first generation immigrant from Mexico, her family moved to Salem when she was ten years old. Sandra graduated from North Salem High School and later attended Willamette University, becoming the first in her family to graduate and earn a B.A. in Politics. As someone who is very passionate about providing leadership development and positive mentor-ship for youth of color, Sandra has always been inclined to serving youth and their families. She now works as the Director of Latinos Unidos Siempre (L.U.S. ), a social justice, Latinx- youth-led organization based in Salem. Through L.U.S., youth are given political, social and cultural education to develop civic engagement and leadership skills. Sandra also serves on the board of Beyond Toxics, an environmental justice organization based in Eugene, Oregon. Martha Sonato, representing Acción Política PCUNista. Martha is a first generation immigrant from Michoacán, Mexico. In 2000, Martha immigrated to Hood River, Oregon with her family where her parents are currently farmworkers. In 2015, Martha became the first in her family to earn a Bachelor’s degree from Willamette University in Politics, with a minor in environmental science. Since then, Martha has worked in Governor Kate Brown’s office as a policy assistant on housing and human services and as a legislative aide in Senator Sara Gelser’s office. In 2016, Martha joined Accion Politica PCUNista (APP), and led a team of eight young leaders of color in a historic parallel campaign to elect Teresa Alonso Leon to HD 22. In May 2017, Martha led A.P.P in electing three Latinx candidates to the Woodburn School Board, making it the first majority Latinx school board in Oregon. Martha is passionate about developing public and political leadership, equitable policies for underserved communities and eventually also wants to run for public office. Levi Herrera, representing Mano a Mano Family Center. Levi graduated from McNary High School and attended Chemeketa Community College and Portland State University. He and his family have lived in Salem since 1992. He currently serves as a member of the Salem-Keizer Budget Committee, the Marion County Public Safety Coordinating Council and the Community Advisory Group to the Equity, Diversity and Inclusion Unit of the Oregon Department of Education. He is a member of the Marion County Children & Families Commission and the Salem Mayor’s International Council. 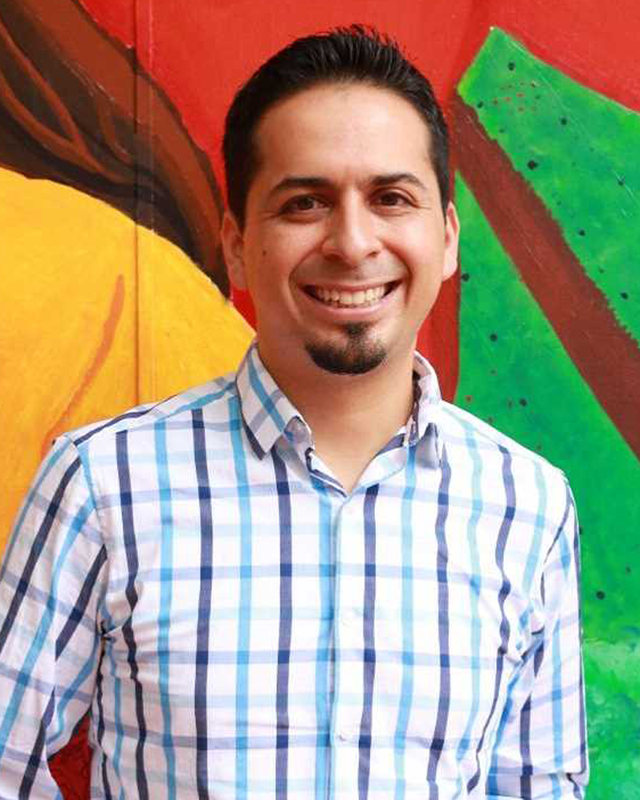 Since 2008, he has served as Executive Director to the Mano a Mano Family Center, an organization dedicated to helping strengthen families, founded in 1988. Rebeca Velásquez, representing Mujeres Luchadoras Progresistas (MLP). Leaving behind roots in Michoacan, Mexico and born out of Mexico City, Rebeca arrived in Salem, OR after migrating to US in 1995. She began working as a farmworker and at the local canary. When she became a mother of two she was a stay-at-home mom and began volunteering at the rallies protesting the mushroom farms. At these rallies she met members of MLP in 2004. She became a part of MLP through their wreath making program. In 2006 Rebeca began coordinating MLP and a few years later even got her own radio show on Radio Movimiento. She has had her show every Monday afternoon since 2010. Her third child was born in 2012 and though she stays busy she enjoys participating and collaborating with the sister organizations. Currently she is the Director of MLP.